Don't worry, we'll get to Cape Breton. Sick of election coverage yet? Look, there’s a lot of time between now and anyone casting a vote. Forgive us for stretching out some of this election coverage. 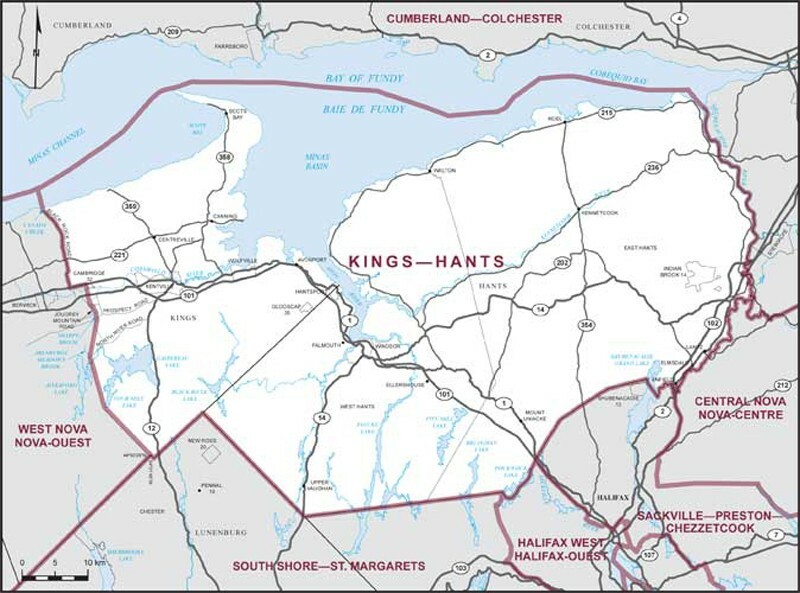 That’s why earlier this week our breakdown of Halifax area candidates only featured the four federal ridings that make up the majority of the HRM. 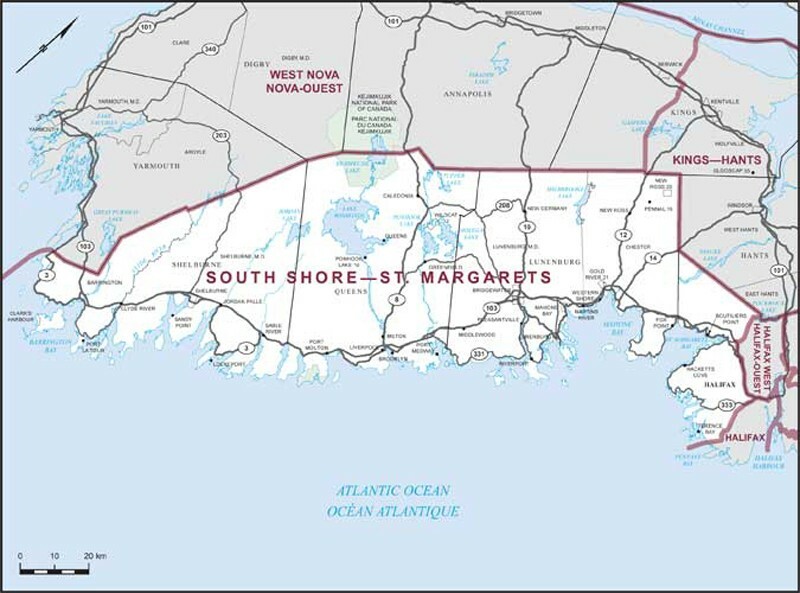 There are quite a few HRM residents who will be voting in the races for South Shore—St. 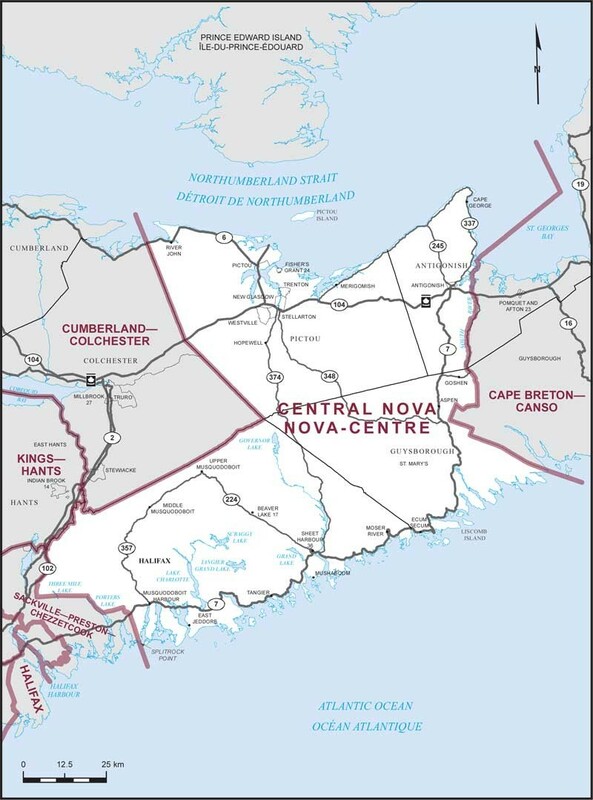 Margaret’s Bay and Central Nova, but those giant ridings encompass several counties and deserve more focused attention. So please, enjoy our mainland Nova Scotia breakdown of candidates in the coming federal election. Don’t panic; we’ll get to Cape Breton eventually. The long-serving politician (who has been representing West Nova since defeating Liberal Robert Thibault in 2008) isn’t re-offering this election. Instead, the Tories are backing Kerr’s executive assistant, Arnold LeBlanc. Yarmouth native and “successful lawyer” Colin Fraser leading the charge as the Liberals attempt to take back some Nova Scotian seats. Fraser does has some experience in Ottawa, having worked as a tour guide at Rideau Hall before becoming a layer lawyer. He’s unrelated to Central Nova Liberal candidate Sean Fraser. To anyone who says the Greens are just a bunch of hippies, we present retired avionics technician and Armed Forces member for 26 years, Clark Walton. Born in Halifax and raised in Dartmouth, Walton currently lives with his family in Paradise, Nova Scotia. A former Argyle municipal councillor, Foster has thrown his hat into the ring for the NDP. Keddy has represented this strong Conservative riding since 1997, but in the wake of his retirement comes 23-year-old Richard Clark—a former national outreach coordinator for the Conservative Party—and director of policy to ACOA minister Rob Moore—up until he moved back to Nova Scotia. High school teacher Godbold is “amazingly excellent,” according to our loyal reader David Wimberly. 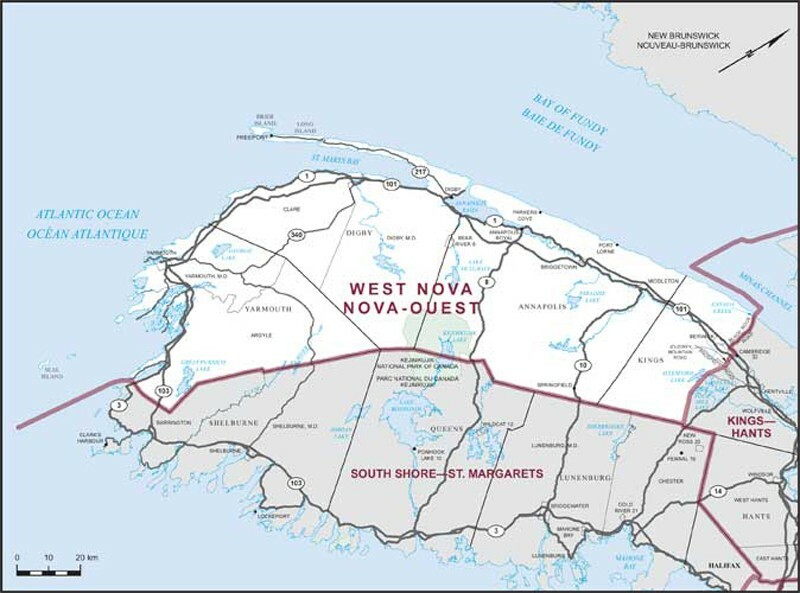 The Coast took some chastising from Wimberly for not including this riding in this week’s more HRM-centric breakdown (about 10 percent of South Shore-St. Margaret’s Bay’s residents are inside the municipality). The NDP have always took home silver on the south shore, but with Keddy gone the gold might be up for grabs. Community activist and development officer for Bridgewater’s Health Services Foundation, Jordan narrowly beat out South Shore school board chair Jennifer Naugler for the Liberal nomination. The Liberals last held the South Shore for one term in 1993 under Derek Wells, and haven’t been able to overtake the second-place NDP since 2004. A veteran of the armed forces, Biggar is the Green's choice on the South Shore. Having just joined the party six months ago, Barry is the only Communist party candidate running in Nova Scotia. Brison’s been running the Kings-Hants show since 1997 (save a quick resignation for his old Progressive Conservative party mate Joe Clark in 2000). In crossing the floor to the Liberals in 2003 he didn’t miss a step; the voters crossed with him and have stayed by Brison’s side ever since. If anyone has a good chance to bring Brison down, it’s David Morse. The Liberal incumbent edged out a win against Morse in 2011 by just 1,000 votes. It’s the closest the Conservatives have come since…well, since Brison was a Tory. Expect Morse to put up a fight. Wheeldon stepped down and distanced himself from the NDP after a Conservative attack website highlighted a Facebook comment he made last year about Palestine; "that Israel’s intention was always to ethnically cleanse the region." He's since retweeted others on Twitter that this is a Harper smear campaign. Winery worker Curry has now stepped in as his replacement. The is also the first federal run for Cooper, though reporters Colin Chisholm and Jennifer Vardy Little at the Hants Journal note he’s actually been a Green Party member since back when he was living in New Zealand. 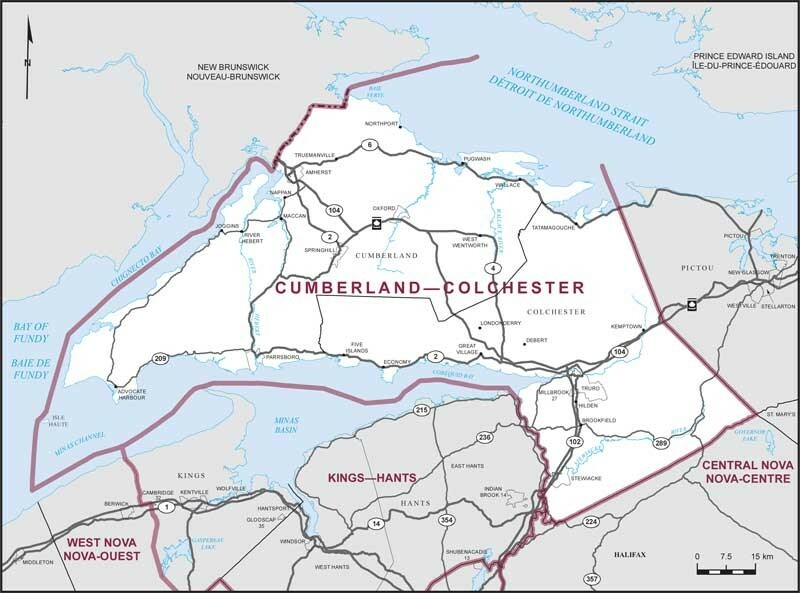 Oh the tangled history of Cumberland-Colchester, where Conservative Scott Armstrong once won a by-election to replace independent MP Bill Casey and now faces off against a Liberal-ized Casey back at the bat. Armstrong hardily won against all challengers in 2011, but with Casey challenging expect the Conservative MP to swing for the fences. Robinson lost to Scott Armstrong in 2011 by a substantial margin, but having been elected in the interim as mayor of Stewiacke she comes back wiser in governance and campaigns. The headlines will be about Armstrong versus Casey, but Robinson is by no means an afterthought. This was a big coup for Trudeau’s Liberal run. Casey was famously kicked out of the Conservatives after voting against Harper’s 2007 budget. He returned to be elected as an independent from 2007 to 2009, when he finally stepped back from federal politics. Now, he’s cloaked in crimson and is the best chance the Liberals have to take a Nova Scotia riding they haven’t held in close to 20 years. Leader Elizabeth May had expressed interest in the Cumberland-Colchester by-election resulting from Casey’s resignation in 2009, but ultimately it was Jason Blanch who ran and lost. Still, it was the best showing the Greens have had in the riding, and Blanch will build on that this fall. Author Jackson is running as an independent candidate. It was dizzying news to hear Peter MacKay, the pride of Central Nova and Harper’s heir apparent, was going to leave behind politics before this election. Tory staffer and Harper advisor Fred DeLorey will now try to maintain the Conservative stronghold. MacKay has promised to campaign for the Conservatives up until election day, and DeLorey is likely counting on the departing minister’s endorsement. Do the NDP have a shot now that Peter MacKay’s out of the way? Ross Landry hopes so. The former justice minister for the provincial NDP’s one-term government does have a history that’s tough on crime. He helped open the new jail in Pictou County, and introduced Canadian cyberbullying laws. Those are all feathers in the former RCMP officer’s camp to breaking apart the Tory dynasty. On the other end of the law from Landry’s RCMP officer is lawyer Sean Fraser. Aside from working with a national law firm out west in litigation and international dispute resolution, Fraser has worked to promote information law with human rights organizers in South Africa. Elizabeth May received 32 percent of the Central Nova vote in 2008—a stunning 30-point jump that Matthew Chisholm was unable to maintain in 2011. Now Hachey, a farmer with a passion for rural development, will try to get the Greens back in the game. Canada will elect its next government on October 19, which technically makes these articles science fiction.